Just a few of the projects I’ve sewn in the past couple of years that I’ll be posting more about soon. For some reason it’s taken me a long time to really decide how I wanted to approach this here blog. It’s had a few different names, but none of them really stuck. And I think that’s because I didn’t really know why I was blogging, aside from having some kind of digital record of my sewing and the thought processes surrounding the projects. First I tried to combine my historical and everyday (from here on out referred to as “real-life” or “RL”) sewing. But it seemed at cross-purposes. Very different types of sewing, very different approaches to fitting, different sewing methods, and vastly different results. I wanted to separate and consolidate the two sewing types. So after a long while neglecting my blog–although not my sewing–I created another blog, Belle Mode Belle Histoire, where all my historical sewing will be recorded. Periodically, anyway. I can’t even promise myself that I’ll update it regularly, because after working on a computer all day at the office, and the hard work that is sewing, often the last thing I want to do is then sit in front of a computer and rehash things. Maybe I’m not really well suited to blogging. But dammit I’m gonna try. Because I want to share, and yes, I want to show off a little bit; but I also want to connect to the sewing community through my own space, rather than a larger group site (although they have great value, and I participate actively on them). So where was I? Oh yeah. 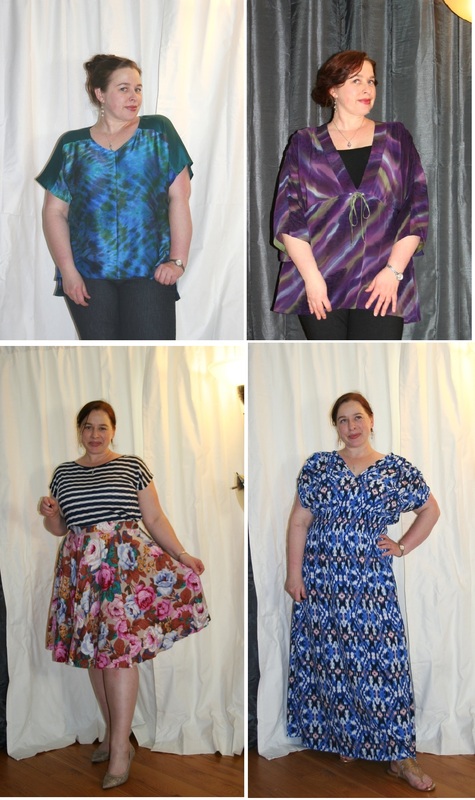 Separating my sewing blogs. The historical stuff has a home. The RL sewing needed a home. I decided to keep the original blog, but rename and restyle it. And it took a while. Because a blog’s name should in some way reflect the intentions and purpose of its content, shouldn’t it? I think so anyway. So I thought about what I really want to say, to other sewers and to myself. And that boiled down to: don’t be afraid. Be fearless. Fear holds you back. Sidestepping the fear, while it seems really hard, is actually pretty easy. What fear? The fear of cutting that gorgeous, expensive fabric; of making mistakes; of being less than perfect. Those are pretty common and understandable things to be afraid of. But look. That gorgeous expensive fabric isn’t doing any good sitting in a stash. Unless it’s just waiting for the right project–I have some stuff like that. But if you know what you want to make, then don’t hold back. Make it! 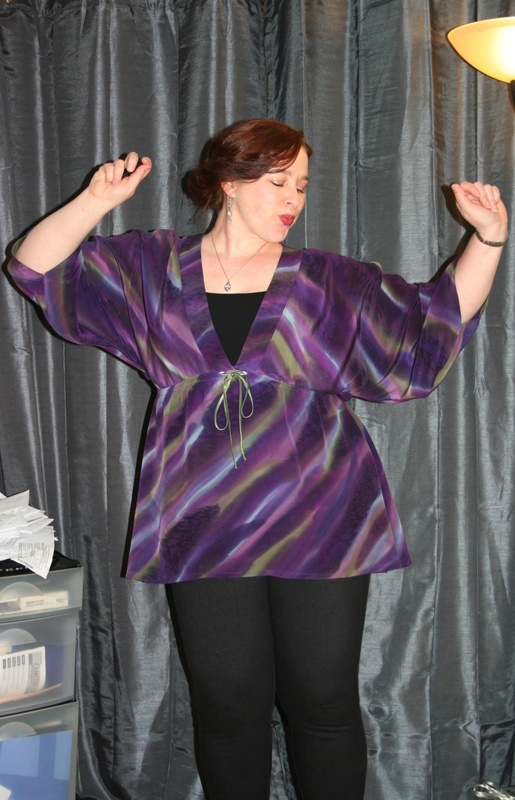 Then you can WEAR that gorgeous expensive fabric and see it and pet it and look fabulous in it. I love silk. I buy a lot of it. And I want to wear it. So there’s no point in letting it just sit in my stash. Given the right conditions, it will actually rot there. It’s better to make it into something. Making mistakes? We all make ’em. Mistakes are an important part of the learning process. And that’s all we’re really doing in this life, in my opinion: learning–if at all possible, constantly. Many mistakes can be corrected. And then you’ll a) know how to avoid the mistake in future and b) know how to fix it if you make the same mistake again anyway. I’ve made lots of mistakes, some of them multiple times. And it teaches me something every time. Usually the lesson is: pay attention, dammit. Being less than perfect? Well, perfect doesn’t exist anyway. Do you know anyone who is truly perfect? Any item that on close inspection doesn’t reveal small flaws? Perfection is a unicorn: a myth. It’s an admirable thing to strive for–within limits. We’re human, not unicorns–therefore nothing about us is perfect, and the things we make will always have some kind of imperfection about them, even if it’s just the fact that they won’t last forever. So, strive for almost perfect. Or even just good enough. Lowering the bar of expectations slightly can actually be a good thing, because then when that “perfect dress” turns out to be not quite perfect, you’ll still be satisfied and happy to wear it. I’ve made plenty of awesome things that I love to wear, but none of them are truly perfect, even if they might look like it at first. So, my sewing motto has become: Be fearless and just cut the damn fabric. (But make a damn muslin first!) Get out of your own way and make something you’ll love and be proud of. See, I’m a tough love kind of person. That covers the blog change. Frequency of posting may be sporadic. I have a lot of stuff I can post about at the moment, since for the past year and a half I’ve been concentrating on sewing garments for real life, rather than buying RTW. There’s nothing I really want to buy in the stores anyway, and 98 percent of it won’t fit correctly either. Sewing isn’t less expensive, but it is more satisfying, and you get a much more unique and personalized wardrobe out of it. This doesn’t mean I haven’t bought anything at all; I’ve bought a few things. Things I wouldn’t sew, at least not yet. I can’t sew more than one thing a week, if that. And that takes up most of my free time. Occasionally I need to get out of the house, you know? So the first order of business will be to post about each of my projects from the past year or so. A few more fun little projects I made. Knits. I’d never really sewn them before. But now I’m having fun and I’m not quite so afraid of them anymore. 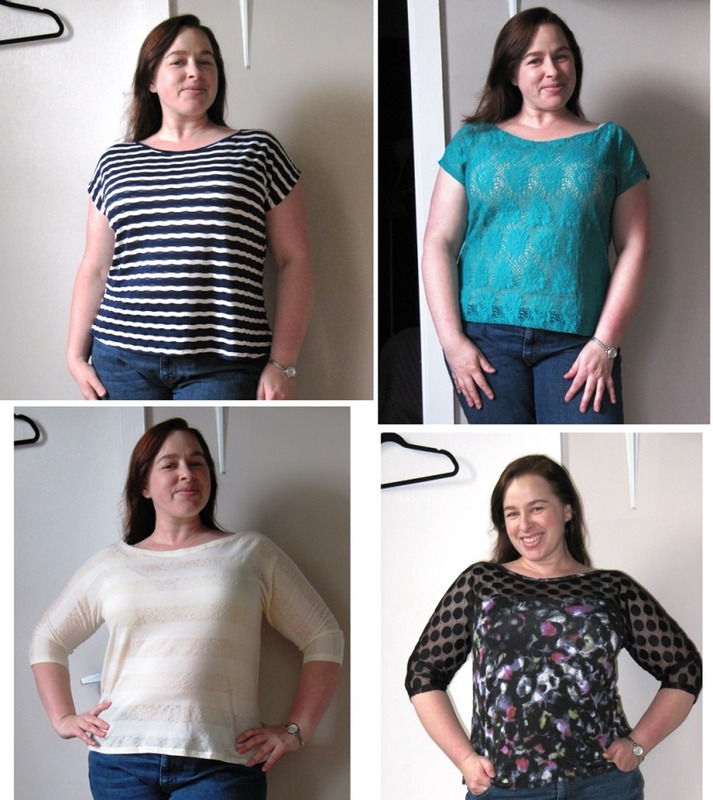 This entry was posted in blogging, project planning, thoughts on sewing and tagged home-sewn wardrobe, sewing. Bookmark the permalink.